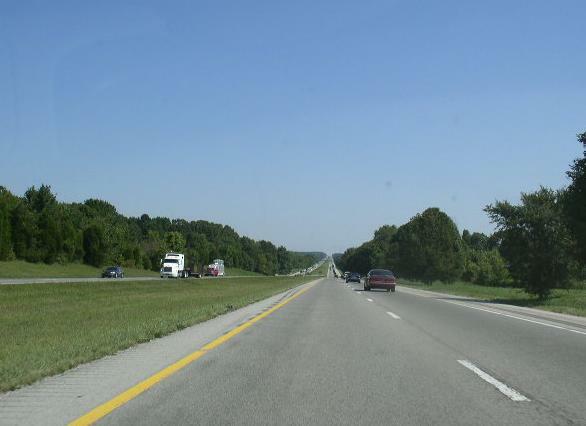 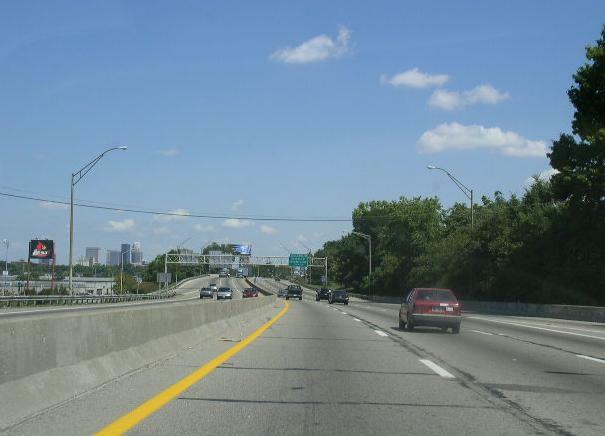 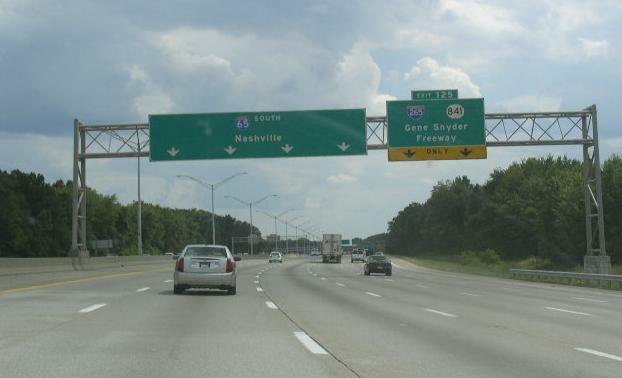 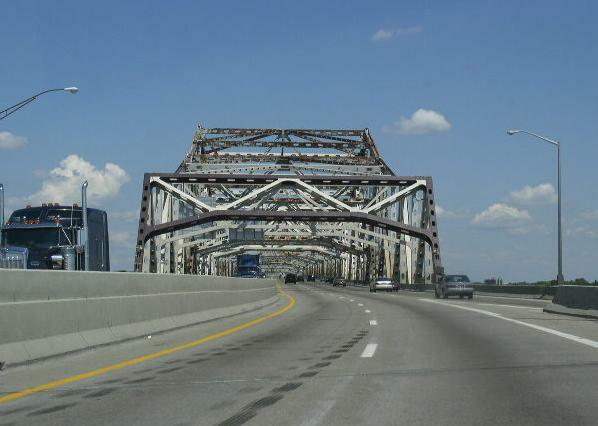 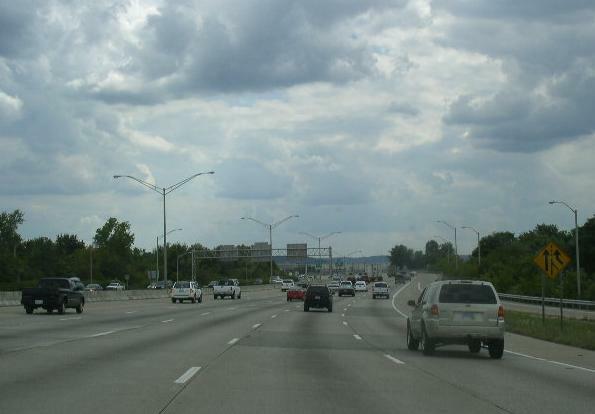 Interstate 65 is the main north-south interstate in Central Kentucky. 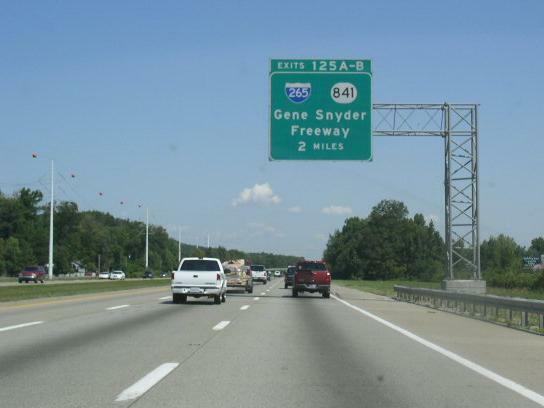 This connects Bowling Green, Elizabethtown and Louisville to each other. 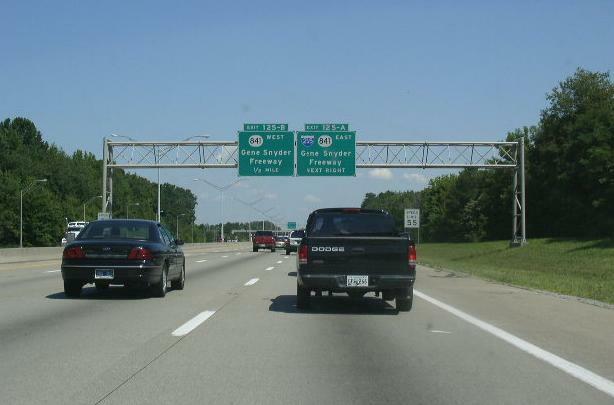 In Kentucky, I-65 is not multi-plexed. 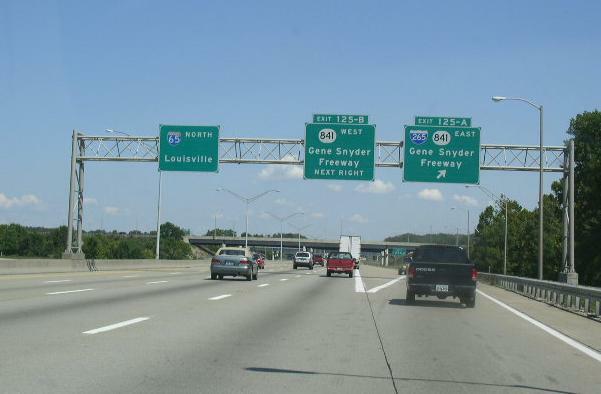 Interstate 65 crosses the following interstates in Ketucky. 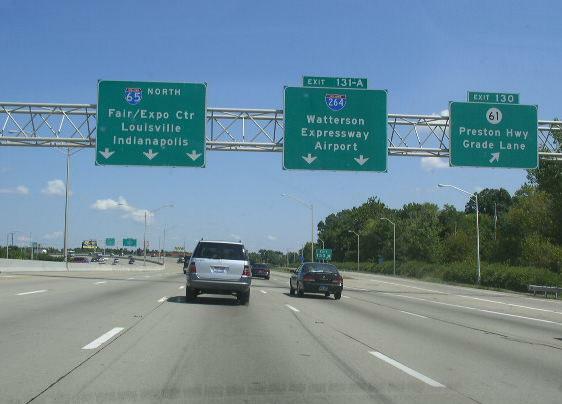 The first BGS on SB I-65. 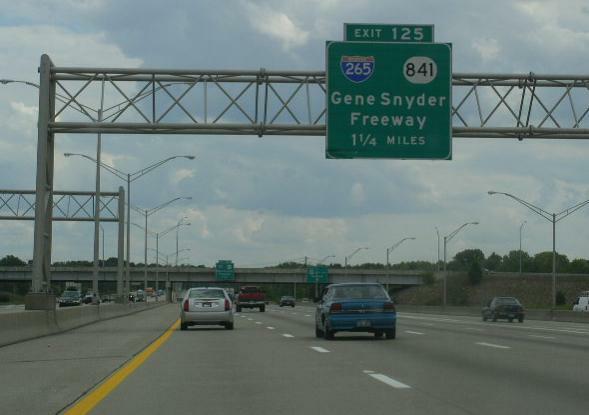 The two mile BGS on NB I-265. 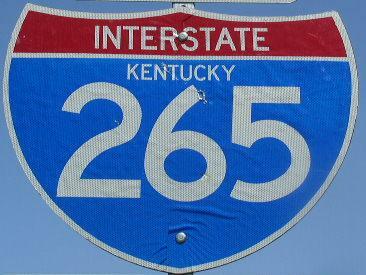 Another BGS on NB I-265. 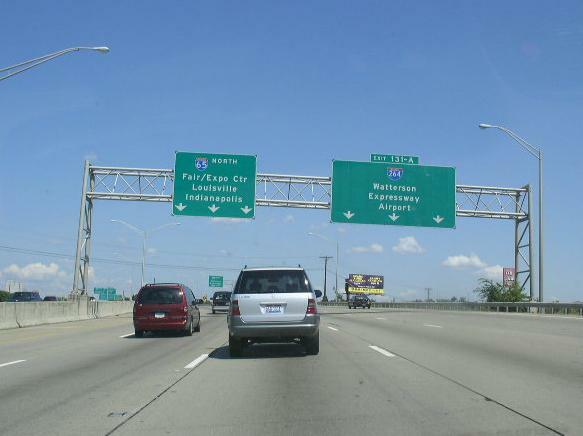 The two mile BGS on NB I-65. 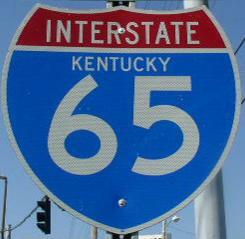 Another BGS on NB I-65. 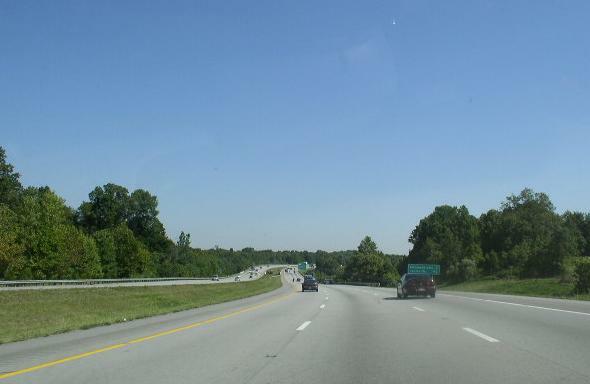 The half mile BGS on NB I-65. 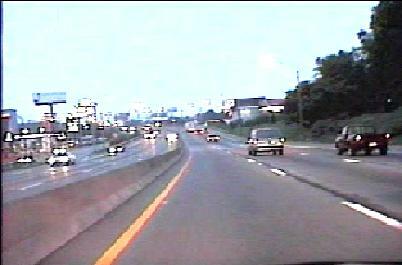 The first BGS on NB I-65. 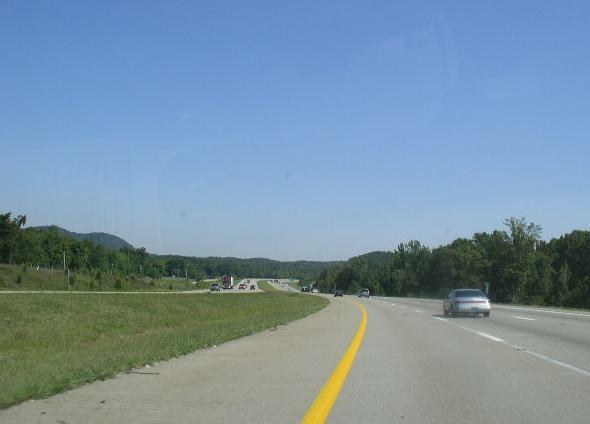 Branches of I-65 in Kentucky. 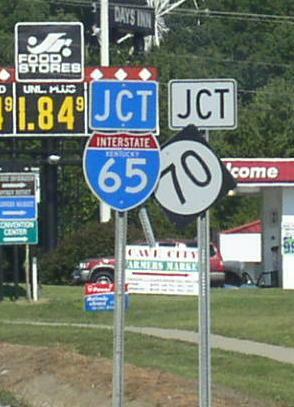 A junction marker on NB KY St Rt 90 in Cave City. 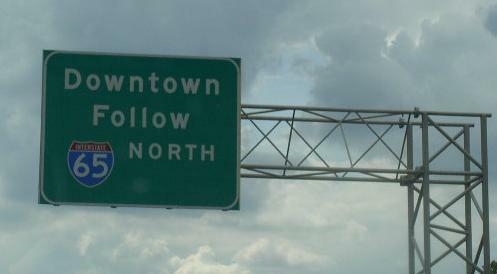 NB I-65 near Lebanon Junction. 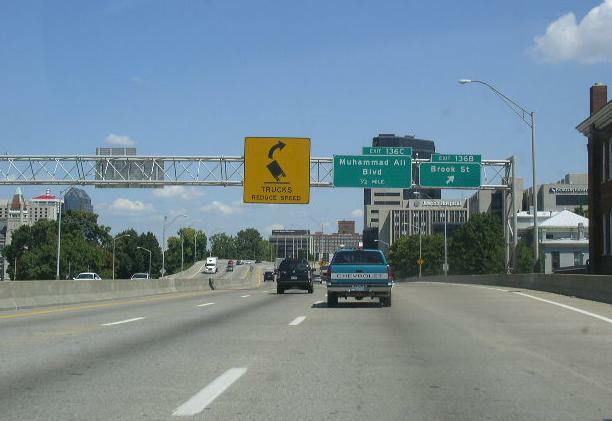 A guide sign on NB KY St Rt 61 in Boston. 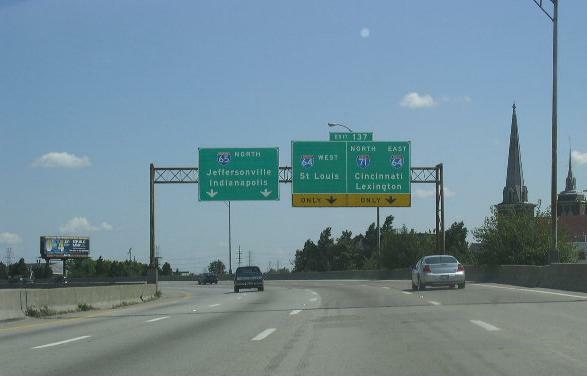 SB I-65 near the Louisville Airport. 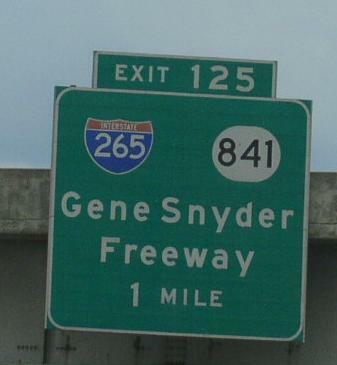 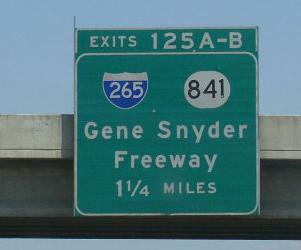 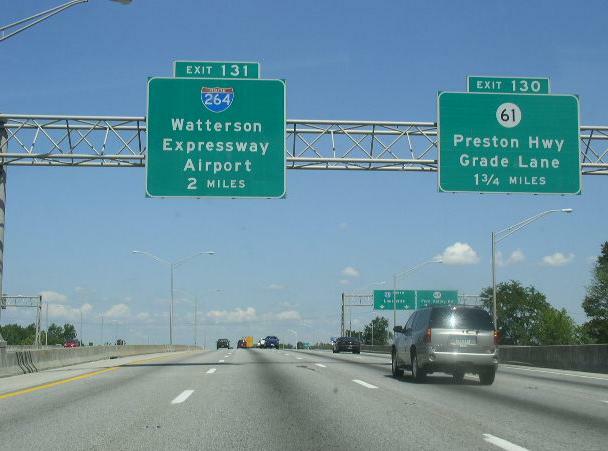 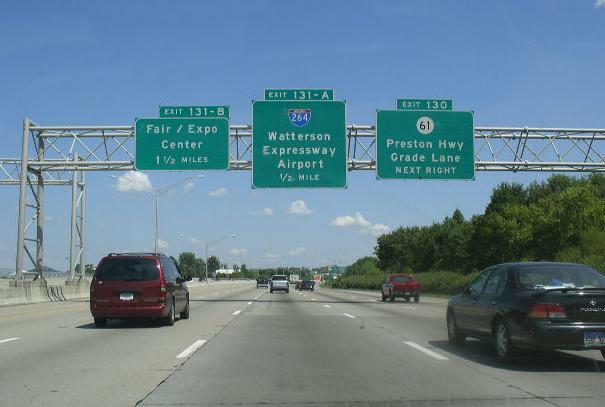 A guide sign on WB I-264. 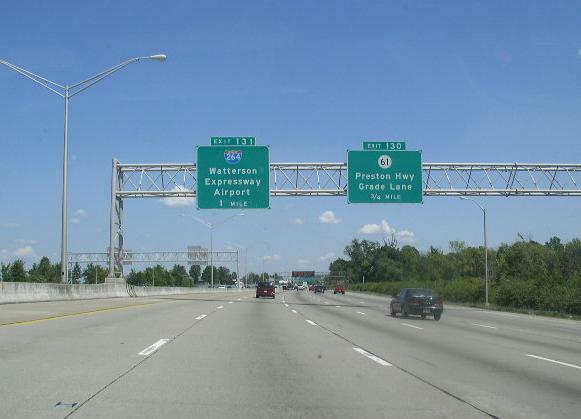 NB I-65 in Louisville, near the airport. 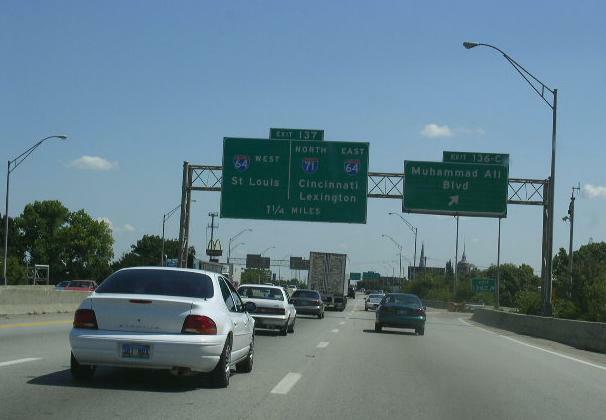 NB I-65 near Hill Street in Louisville. 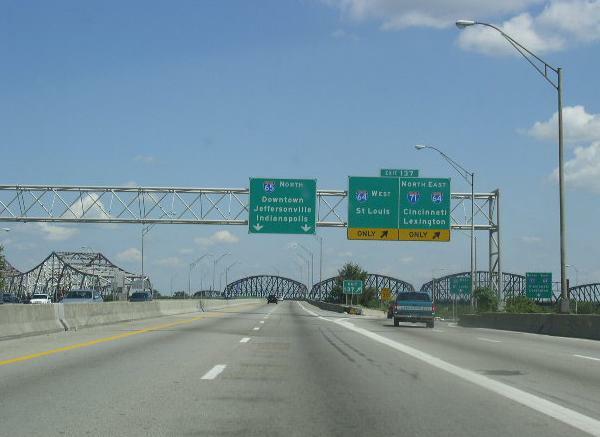 NB I-65 in Downtown Louisville. 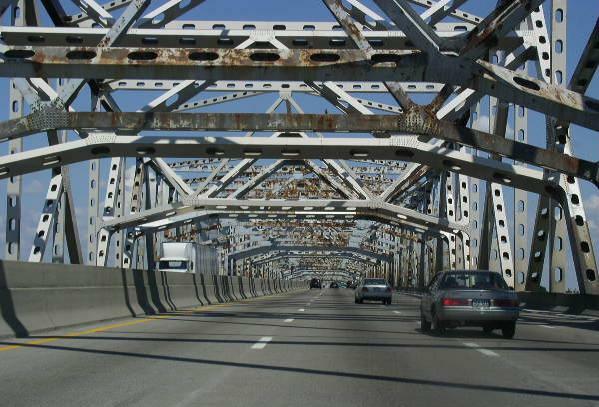 NB I-65 near the Ohio River.